Exploring a new old barn is always fun for me, but it’s especially nice when the frame is a local one and needs little restoration. I do this work because I am passionate about preserving the heritage and craftsmanship of New England. Each barn we are able to rescue feels like history is saved, at least another 100 years or more. 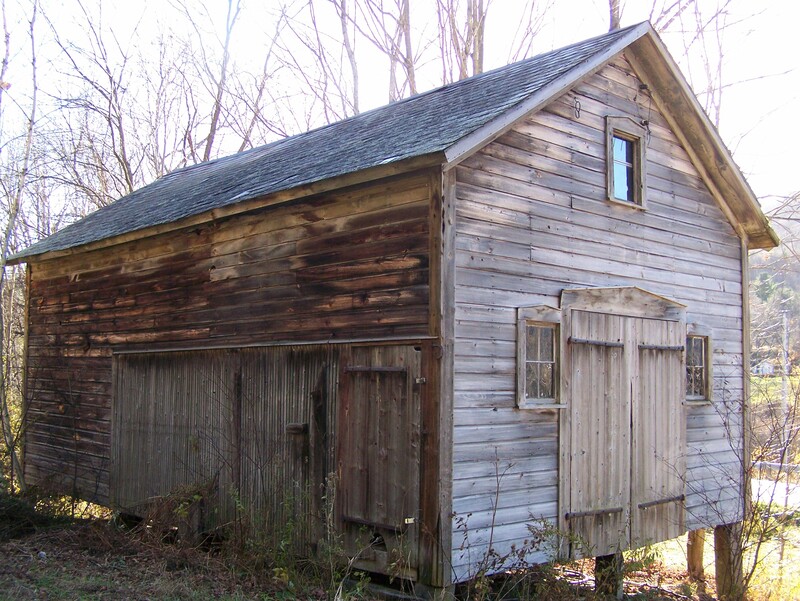 While I’ve been doing this for decades, I still feel the same thrill each time I find a vintage barn in reasonable condition, restore it and transform it for a new owner who will enjoy it for decades to come. This post and beam barn, dating from the 1880s, comes right from my hometown of Middletown Springs, VT. The vintage frame measures 18’x30’ and is built from sawn 8″x 8″ timbers. The person who built the barn used traditional post and beam joinery and the timber frame structure features 4 bents and 3, 10 foot bays. The interior design is a bit unusual – part corn crib and part something else. My best guess is that the other part of the barn was used as a cheese house or perhaps as lodging for hired help. 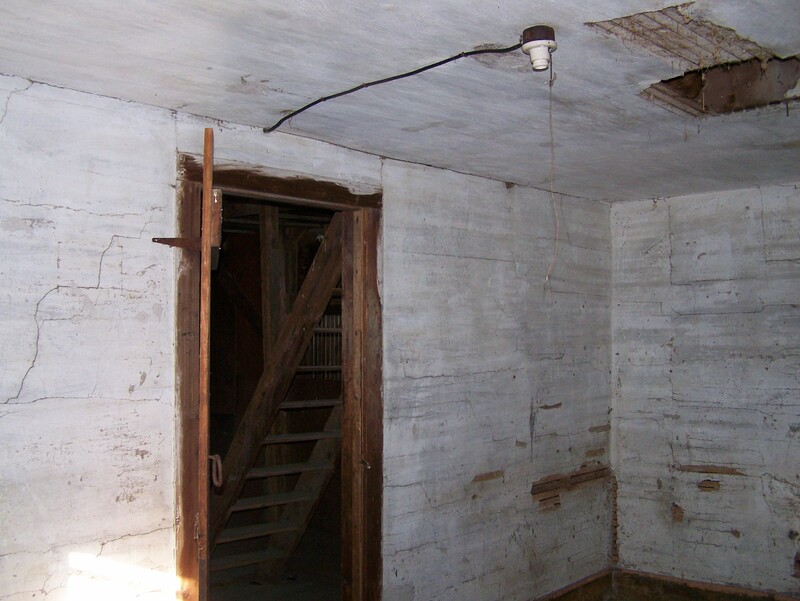 You can see in the picture below that this separate section of the barn was finished with plaster. I’ll ask around town with the octogenarians, they might remember something from the 30s or 40s. 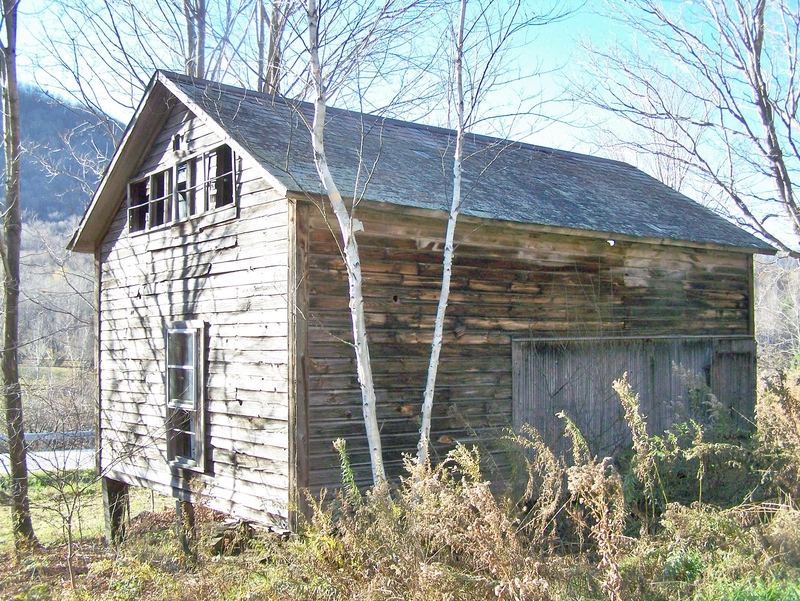 While the barn is currently in Middletown Springs, VT, the current owner is hoping that we can find a new owner to enjoy this piece of history. I am happy to help transport it to a new location in New England or New York. The barn has a beautiful slate roof that is in great condition. It stands 1 and 1/2 stories tall. 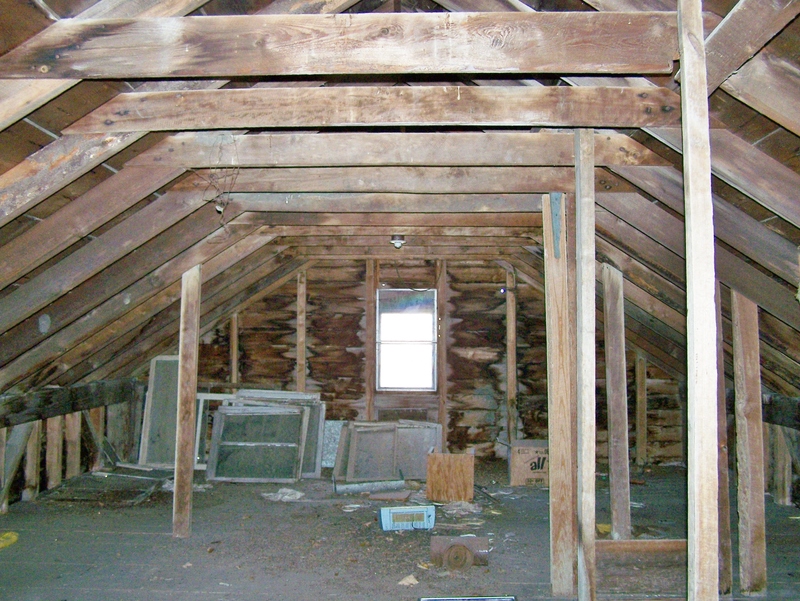 The floor boards are also in great condition and the half story measures 2’8” making for plenty of head room on the second floor. This old barn is for sale – – and with 1100 square feet of interior space, it offers lots of possibilities. It could make a very nice first home, a workshop, studio or camp. For someone looking for a bigger space, we can easily add ten-foot shed additions, which would increase the first floor living space to 28’x38’. If you are interested, please do let me know! The frame comes complete with siding, roof boards, floor boards, and the slate roof. Want to check out this barn or another available timber frame we have in stock, please contact Green Mountain Timber Frames! This entry was posted in Frames in stock, Green Mountain Timber Frames, Middletown Springs, Vermont, Post and Beam, Timber Frame Projects and tagged American heritage, available barn frames, barn for sale, colonial america, custom barn home, gazebo, Green Mountain Timber Frames, Post and Beam, timber frames Vermont, Vermont timber frame, vermont timber frames, vermont timberframe by Green Mountain Timber Frames. Bookmark the permalink.